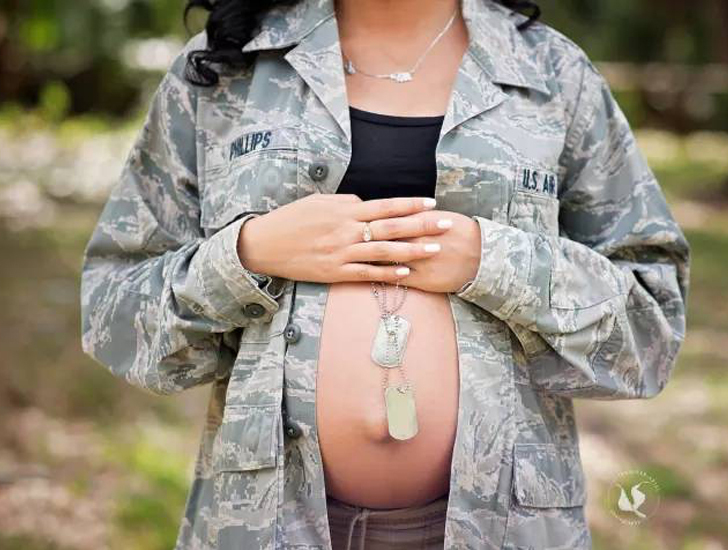 Veronica Phillips was left to arrange her own maternity photoshoot when her husband Brandon was deployed overseas. Brandon was serving in the air force when the shoot was booked, and therefore unfortunately would not be able to be there with his wife during that momentous occasion. Knowing this, Veronica planned to wear her husband’s jacket for some of the photos. Veronica had booked her maternity shoot with Jennifer McMahon, a photographer based in Miami, Florida. She asked Jennifer if it might be possible, considering the absence of her husband, to somehow incorporate Brandon into some of the photos. Jennifer, touched by Veronica’s request, said yes, and the result of her creation is simply stunning. Jennifer was able to Photoshop two pictures together to create this beautiful combination, after which she shared the photo to her Facebook page. 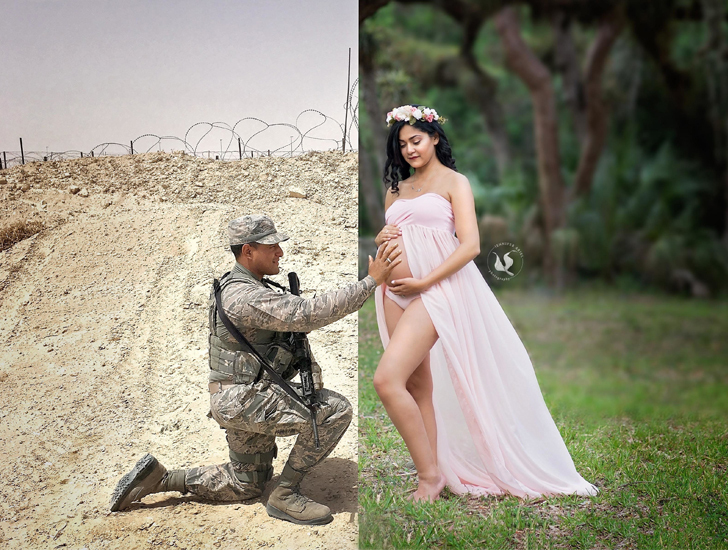 Since posting it, this photo has been shared more than 5,000 times, and has garnered so many positive and emotional reactions around social media that the concept seems to have triggered a movement of similar maternity photos for women with deployed husbands or significant others. The Miami photographer is honored to have been able to touch so many people through her photo. “I know it’s not even the best photo, but it’s the story that it tells that means so much to people,” Jennifer said. Did you get all teary-eyed like we did over this beautiful photo? SHARE it with your friends on Facebook, and COMMENT below with your thoughts!